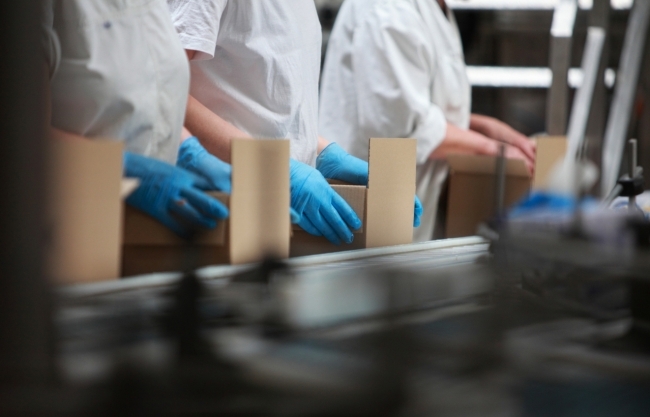 Jobs are set to be created at the former Pinneys of Scotland plant in Annan, after it was purchased by food processing company Bhagat Holdings Limited. The Scottish Government, through Scottish Enterprise, has invested £1.7 million, through a Regional Selective Assistance grant, to support the company to expand its European interests to Scotland. The company plans to create an initial 120 jobs and has indicated there is the potential for the creation of more jobs in the future. Owner Keshav Bhagat confirmed that production is expected to begin in the autumn and that the company is investing £9 million of capital funding at the site. Rural Economy Secretary, Fergus Ewing, said: “This is great news for the people of Annan, and for the South of Scotland more generally. “I’m delighted that an international company like Bhagat Holdings has chosen to invest in Scotland, with the immediate creation of a significant number of jobs, which will make a real difference to local people and the local economy. “When Young’s closed last summer, I said that we would leave no stone unturned and we would keep working to find a solution and an alternative use for this site. That hard work has now paid off and it is Annan and the local community and families who will benefit. I want to highlight the diligent efforts of Scottish Government staff, working with Dumfries and Galloway Council, Scottish Enterprise, the South of Scotland Economic Partnership, and local partners for the past year, to make this happen. Dumfries and Galloway Council Leader, Cllr Elaine Murray, added: “I am very pleased with this announcement and hope it signals an upturn in the region’s economy, following the closure of Pinneys last year. This is the culmination of a lot of hard work behind the scenes, both with prospective investors and to ensure those affected by the closure were supported into alternative employment. Some employees may return to the site, but this could also mean new jobs for the area.